A classic utility building with the addition of a nice porch ready for rocking chairs! With 8′ high side walls, this building offers you the storage space you need with room in the front for covered relaxation. 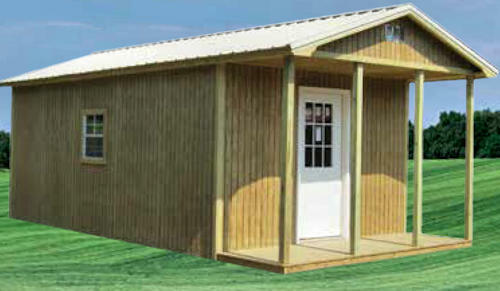 The Porched Utility model has an overall height of 10′ and can be customized to your liking. We recommended the railing and 9-light door to finish it off!